Eastnor are pleased to participate in so much sport, both within curriculum time and also at extra-curricular events. Within the curriculum, children are given a minimum of 2 hours of quality PE teaching each week. Within the school week, many sports clubs across both Key Stages are offered, including hockey, tag rugby, football, netball, fitness and conditioning in the winter, and then cricket, rounders and athletics in the summer. 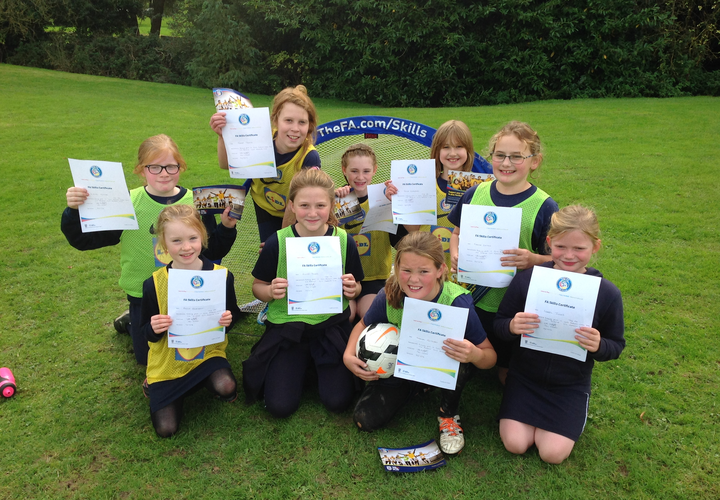 We also have professional practitioners and club leaders that come to the school to deliver top-quality sports clubs. One of our most recent achievements is being awarded the Gold Herefordshire Sportsmark Award. The school games mark keeps competitive sport at the heart of school and provides more young people with the opportunity to compete and achieve their personal best. At Eastnor we regularly take part in Inter, Inta and County competitions. In 2016 - 2017 we achieved a Gold status for excellence. As a result, we have set up a sports council in our school from children in Year 6, who take on responsibilities such as looking after equipment, running activities on break times for the school with our Playground Leaders scheme and helping to run inter-house competitions and promote healthy eating. Every year, we welcome coaches from Herefordshire FA to run football workshops with all of our children, from Reception right up to our oldest children in Year 6. Staff are also given coaching tips from the football experts for their own professional development, and clubs are run in lunchtimes for children who want to gain extra skill in this sport. We have also welcomed professionals from Malvern Tennis Club to work with all children in the summer on their tennis skills. Eastnor maintain strong links with their Pyramid High School; John Masefield. We attend meetings every year to talk about what events in sport they can host. It is a great opportunity for the children to connect with the secondary school and make use of their facilities. At John Masefield we take part in the Herefordshire School Games heats in netball, hockey, sportshall athletics, tennis and rounders. We also take children to compete in their cross-country event, The Trudge every year, as well as attending inclusion events that look at experiencing new sports such as Try Golf, Tchoukball and Table Tennis. Our links with John Masefield also run into our Family Sports Day. Held at Eastnor Cricket Club, we welcome sports leaders from the High School to help run a successful sports event for our school. It is fantastic to take children across all key stages to play on the John Masefield facilities and improve their confidence across a range of sports. Our school believe in the values of community and Koinonia, and with this in mind, we participate in many sporting events with our local cluster of primary schools and other local community organisations. 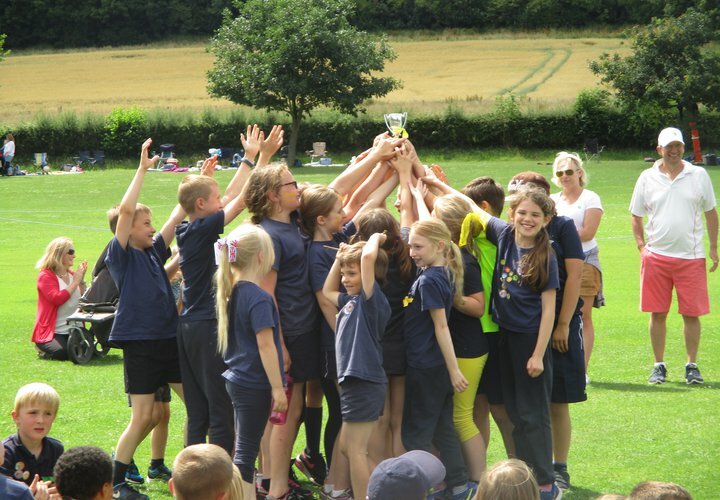 We take part in football, tag rugby and netball leagues run by Ledbury Primary School, and always take teams to the Pyramid Football and Netball tournaments, and a rounders tournament in the summer. We also take part in the Primary tag-rugby festival run by Ledbury RFC. 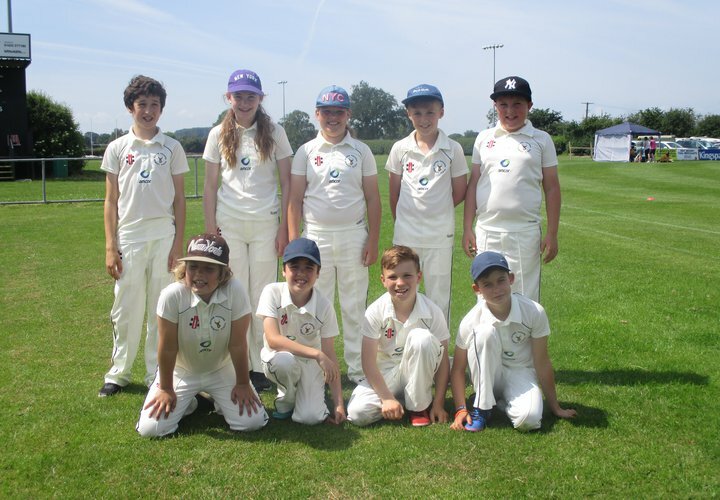 As well as all of this, we make good use of the links on our own estate, and thanks to a wonderful partnership with Eastnor Cricket Club, we hold our very own cluster Cricket Tournament every summer. It has also been fantastic for children to play sport against other schools in the county and neighbouring counties. 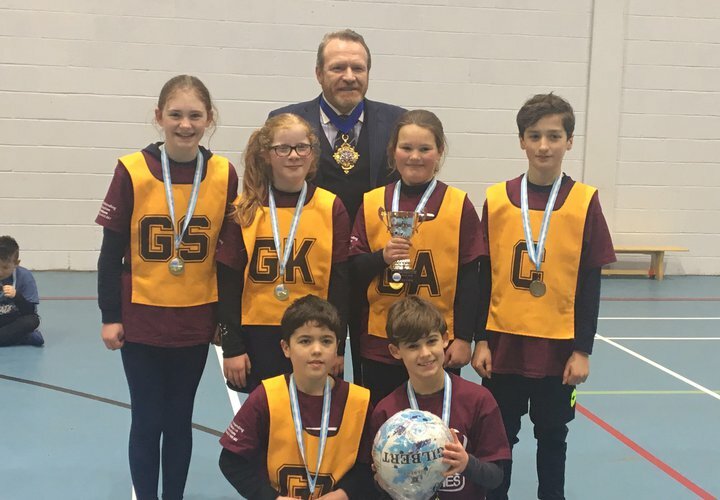 This year, our own netball team qualified for the finals of the Herefordshire Winter Games and, after being crowned champions in 2016/207, once again, put in some excellent performances and finished as runners-up. We may be the smallest school in the Ledbury cluster but we have big ambitions and achieve so much thanks to the values instilled in each and every child!